“It was too good to be true and now looking back on it, it was too good and it was true,” says superstar Garth Brooks of his three-year run of shows at the Wynn Las Vegas from 2009 to 2012. Viewers will get a look into the superstar entertainer’s life during his past three years in Garth Brooks: Blame It All On My Roots, 5 Decades of Influences, which premieres Saturday, Nov. 9, 8:00 p.m./ET on Great American Country. For nearly 10 years, Brooks resided in Oklahoma taking care of his three daughters, when Las Vegas billionaire Steve Wynn called. “I was fascinated about why he retired early,” says Wynn. After several meetings, a trial run solo performance at the Wynn Encore Theater, Brooks signed on for 15 weekends. 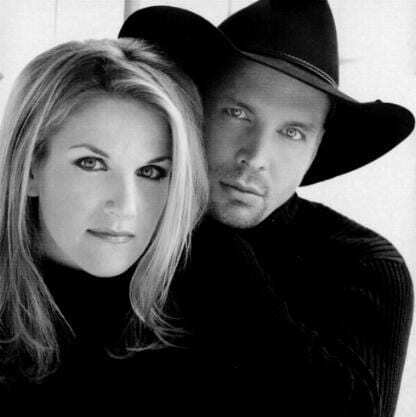 Brooks and wife Trisha Yearwood captured home video of many of the special moments leading up to his Vegas run, including the christening of their private plane which they named Trixie (the plane was used to travel the family between Oklahoma and Las Vegas), Brooks’ first time on the Encore stage and light-hearted moments between the two in the dressing room.